Blank pages can be scary. Blank slides too when it comes to creating PowerPoint presentations. Microsoft Office has decided to lend a hand with a bit of help from the intelligent cloud services that run behind Microsoft Office 365. If your presentation needs a deal of research to get started, then this ought to help you jump right in: PowerPoint QuickStarter builds an outline for you! PowerPoint QuickStarter works like a template. But unlike other design-centered templates, it is intelligent and serves up both: a design with an outline. And it takes just three steps. Open PowerPoint 2016. Select File > New. Then select the QuickStarter template. It is usually the third one in view. Enter a subject to search on in the search field. You can also choose from a popular subject shown at the bottom of the dialog box. Artificial intelligence steps in. But you have to turn on Office Intelligent Services that is a part of Office 365 in the cloud. Switch it on at the prompt if it is not turned on. QuickStarter collates information (with the help of Bing and Wikipedia now) and presents you with a list of subjects related to the topic you searched on. Select the one box or more for the topics you want to include in the outline. You can also use Select All to choose all the subjects at once. Each subject you select becomes a slide in the outline. Click Next to advance to the design. Pick a design from the templates on show for your presentation, and then click Create. PowerPoint 2016 puts together your outline presentation and opens it for you. Do note that this is not a finished presentation. It is a “quickstarter” for your research. Go through the slides to discard and add information as you see fit. Sometimes there is additional information in the Notes below the slide. These can be jumping off points for more research. For instance, the second slide pulls together related topics. Use the Smart Lookup feature to dig deeper for more talking points. It’s not yet artificial intelligence from the future. But an important step forward that shoves your own laziness to put something on that first slide and get started with it. 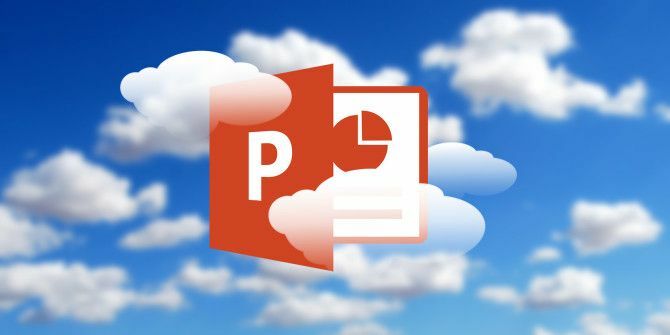 PowerPoint 2016 has a host of wonderful features that make professional presentations easier to create 10 Tips for Making Better PowerPoint Presentations with Office 2016 10 Tips for Making Better PowerPoint Presentations with Office 2016 Microsoft PowerPoint continues to set new standards. New features in PowerPoint 2016 manifest its top spot as the best option for smart and creative presentations. Read More . By the way, have you tried out PowerPoint Designer yet? What do you think about PowerPoint QuickStarter? Does a blank slide look less scary than before? Explore more about: Microsoft Office 2016, Microsoft Office 365, Microsoft PowerPoint, Presentations.